Piab does an impressive job with their piCOBOT products. 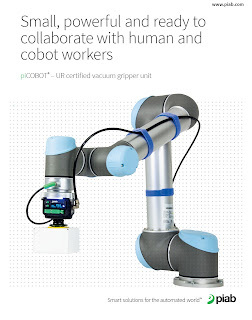 Designed for Universal Robots and UR+ Certified, piCOBOT vacuum grippers can handle an impressively wide range of objects, from porous to sealed material, and everything in between. If your goal is to use your UR #cobot to pick up objects for production, packaging, assembly or nearly any purpose, these vacuum grippers are worth a look. Download a copy of Piab's piCOBOT brochure here.